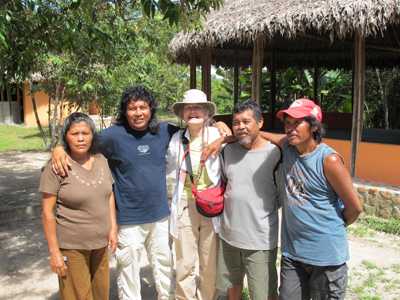 Karen Angel (1 July 2012) stands in the center with her Ugarte Calcaño cousins Clementina, Manuel “Santos”, Crescenciano, and Nered who are four of the six children of Jose Manuel Ugarte, the adopted son of Jimmie and Marie Angel. 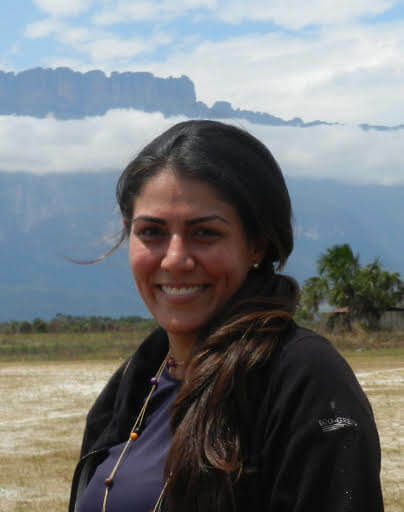 Vittorio Assandria kneels next to the marker identifying Jimmie Angel’s Auyántepui landing spot. 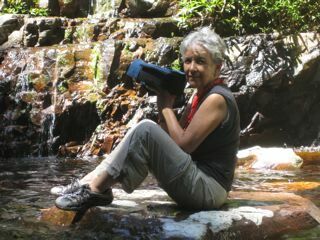 Isabel Barton filming in the Kamarata Valley. 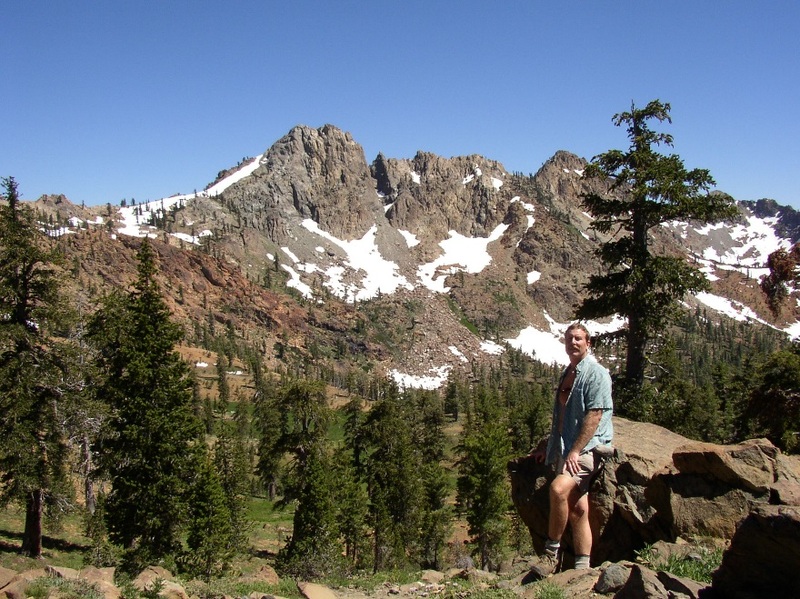 Steve Davidson near Deer Lake, Tahoe National Forest, Northern California. 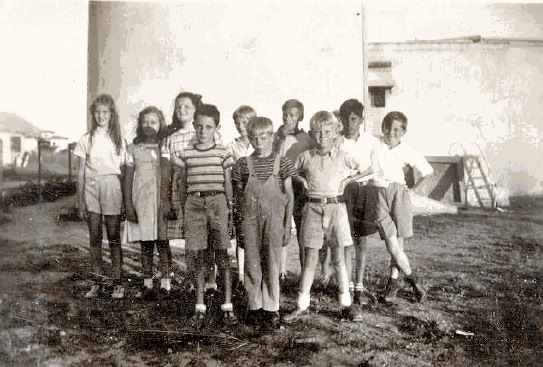 Jack de Coup-Crank is wearing the overalls in the Campo Alegre School photo, 1939-1940. 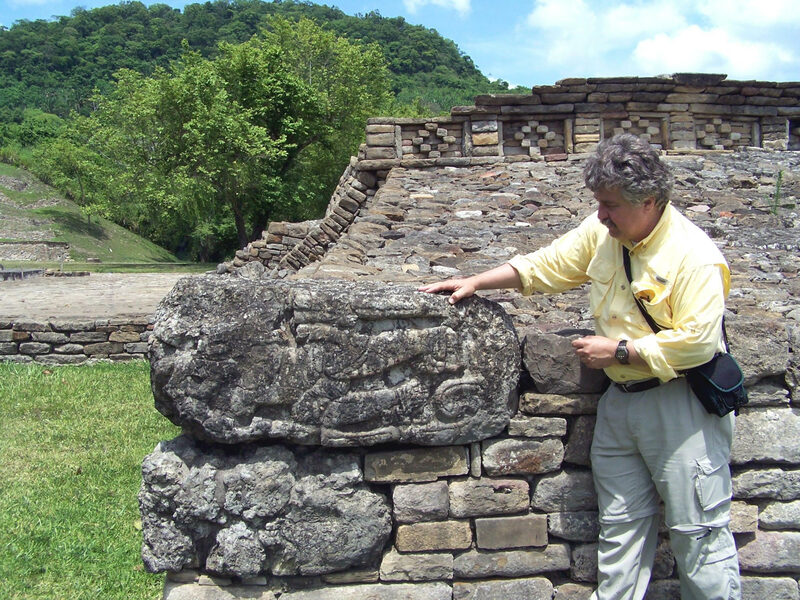 Jorge M. González, PhD., investigating stone carvings at El Tajin, Mexico. 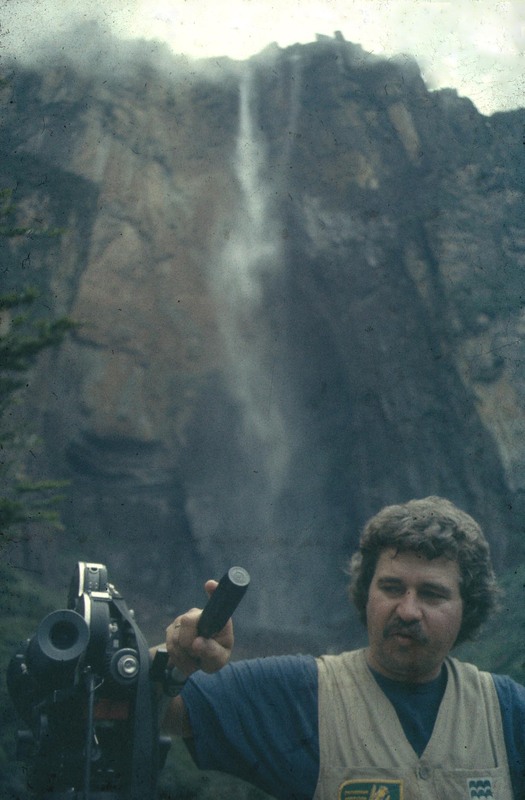 Jorge González was a member of the 1991 Fundación Terramar interdisciplinary Auyántepui expedition. 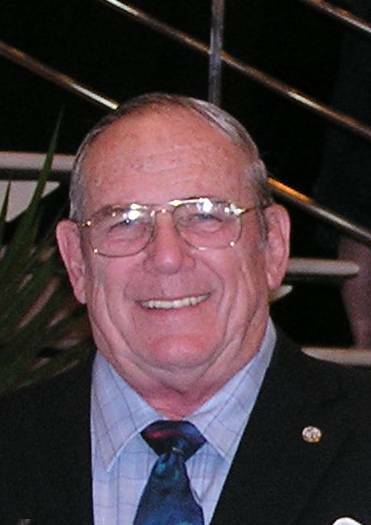 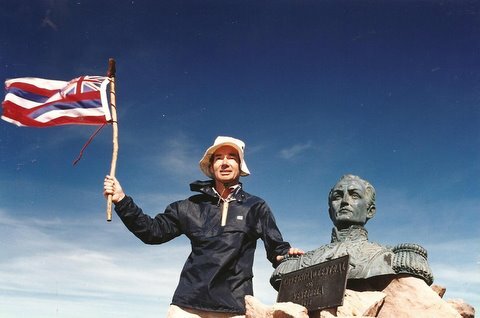 Jon H. Pegg waving the Hawaiian state flag in celebration of reaching the summit of Auyántepui. 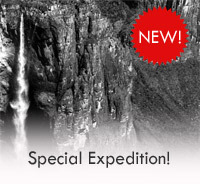 The bust of Simon Bolivar, Liberator of Venezuela, was placed by the Universidad Central de Venezuela’s 1956 expedition to Auyántepui. 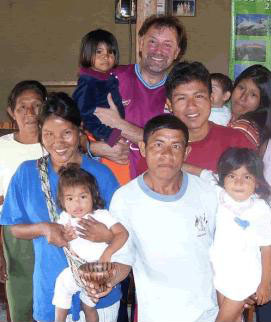 Paul Stanley (center of back row) with Pemón friends in the Kamarata Valley.